We hope that everyone remained safe through Hurricane Irma. After taking care of yourselves, your families, and your homes, if you find that your water-sited structures (docks, boatlifts, seawalls, etc.) sustained damage, here is a handy guide for what you need to do for authorization to rebuild. Governor Scott issued an Emergency Final Order (EFO) that expires on October 4 and provides guidance for emergency repairs/replacements that do not require permits or that qualify for Field Permits. For post-storm repair/replacement activities along the coast on Florida’s sandy beaches, please follow these guidelines from Florida Department of Environmental Protection’s Coastal Construction Control Line (CCCL) program. If we can be of assistance in navigating the emergency permitting process or post-storm repairs/replacements, please contact us at (772) 577-4141 or via our informational email ArdeaEnvtl@gmail.com. 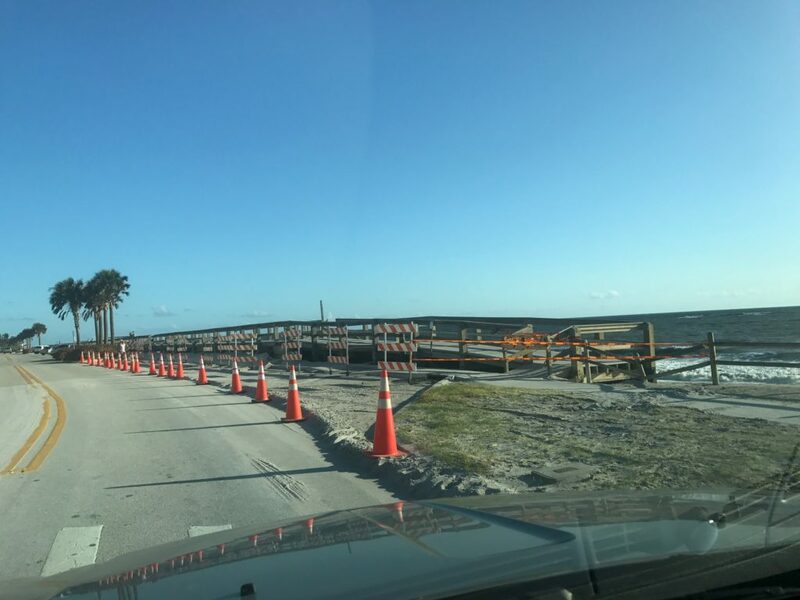 Damage to public boardwalk along the ocean in Indian River County after Hurricane Irma, September 2017.